These days, Seoul is obsessing over honsul, a word that means “to drink alone.” But while we’re all for the peace of a solo drink, it’s also a relief to grab a glass with your best friend – or, even, with man’s best friend. 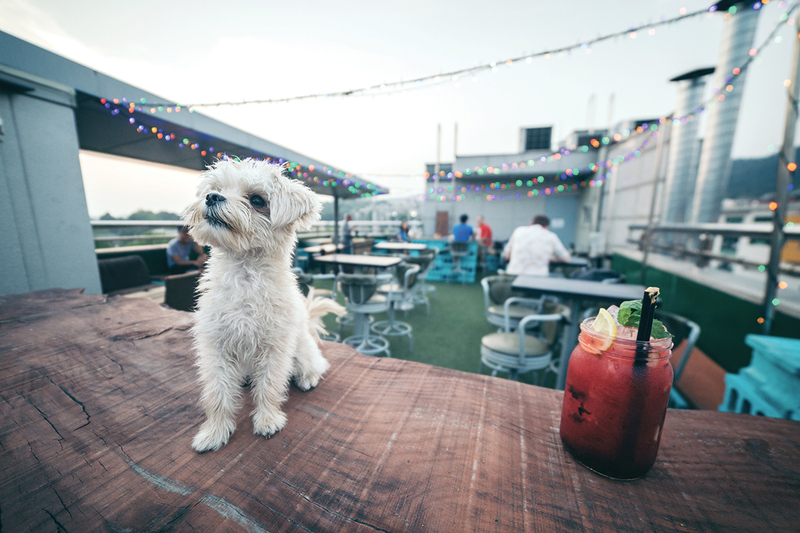 That’s right: many of the city’s watering holes are opening themselves up to dogs. And we don’t mean dog cafés, those fur-covered (though lovely) dog playgrounds that happen to sell smoothies. We’re talking about real bars, with real menus, and dogs are allowed to come. So grab a leash, make sure Fido remembers “sit” and “stay,” and go out for a drink with your dog. 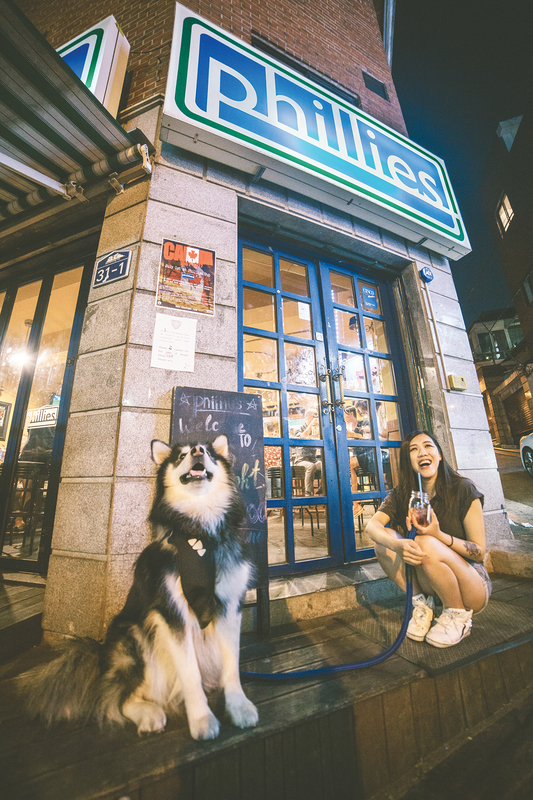 The colorful, musical student neighborhood of Hongdae was home to one of Korea’s first big, popular dog cafés, Bau House, which in its early years was the hot destination for Seoul’s dog lovers. In Bau House’s influential wake have come human restaurants that are friendly to canine companions. 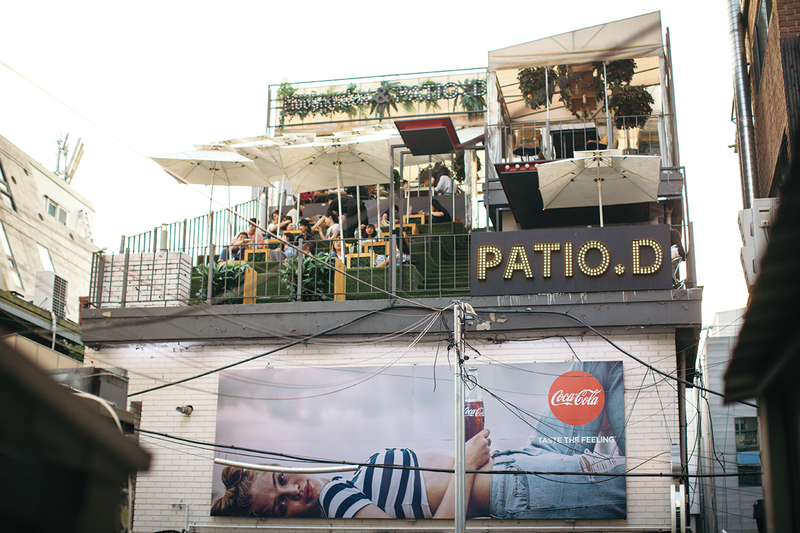 One of the best-known is Patio D, an Italian joint with a short but carefully curated wine list. The first floor is for humans only, but small dogs and people can dine together on the second. Larger dogs are welcome on the open-air rooftop, which looks out into a view of the street below. The diverse, colorful backstreets of international Itaewon are home to much of Seoul’s foreign community, and that community’s beloved pups. As a result, many of the terraces in and around Itaewon won’t complain if your well-behaved dog happens to sneak along with you for a round or two. But there are some bars and restaurants that make a point to welcome dogs of all kinds. Near Gyeongnidan, cocktail masters Southside Parlor have a Puppy Night Special every Thursday night on their spacious rooftop. Humans can get discounts on wine, and four-leggers are free to run around the whole fenced, faux-grass space. Meanwhile, over in Haebangchon, dogs are always welcome at neighborhood pubs Phillies and Hair of the Dog, adding to the homey atmosphere. Dogs are also free to browse the wares and enjoy the music at Hidden Cellar and The Workshop, a bottle shop and pub operated by the same owners. South of the river, it’s a dog’s life. Gangnam boasts what seems to be the country’s highest concentration of veterinarians and “dog hotels” (i.e. babysitters for when you’re away) per square mile. You can’t swing a cat without hitting at least one animal hospital or groomer filled with tiny, pampered pooches. Gangnam also has plenty of room for dogs in its bars and restaurants. 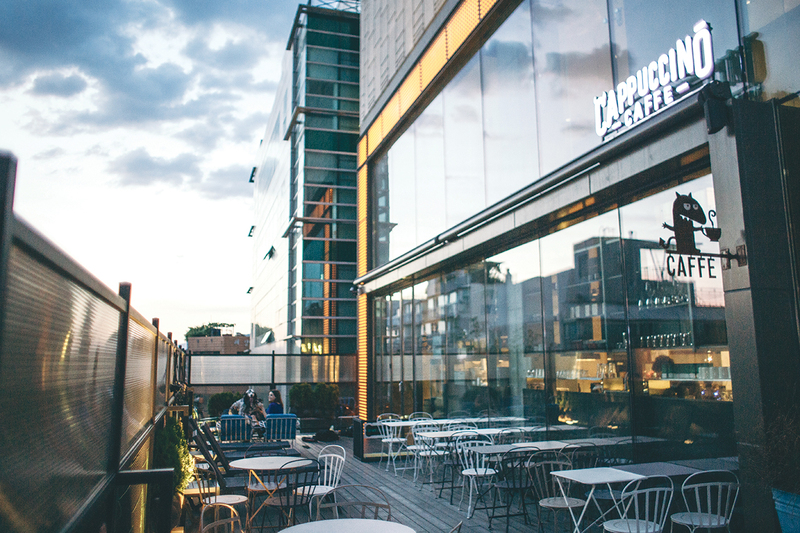 Hotel Cappuccino in Nonhyeon made waves when it opened offering canine-friendly “Bark Rooms.” Dogs are also allowed on the terrace of Cappuccino’s first-floor Caffé. The gate there closes to the street, preventing any tailwaggers from wandering off while their owners enjoy a beer. On the other side of the neighborhood, Hey Cotta is a restaurant that serves both dog-lovers and dogs delicious dishes – steak, pasta, and even a dog-friendly coffee are on the menu. Owners sit at tables, while dogs lounge in crib-like pens. Note that the pens likely won’t contain big dogs, or talented jumpers. 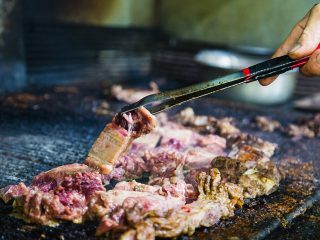 Meanwhile, at Apgujeong’s Rodeo Street, you’ll find Café Kudeta, a casual eatery that serves pasta, salad, churros and beer, and was one of the first in the neighborhood to allow dogs inside. Nearby, gourmet roastery Mark Lane Coffee has another dog-friendly terrace with secure fencing so dogs can run and play. 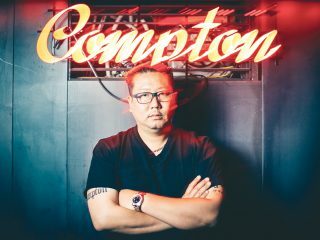 Around the corner from that, Gyemong Bottle & Tap House has room for dogs on its patio – the owner himself is said to be a dog lover. And of course, when all’s eaten and done, you and your furry friend can take a walk together at Dosan Park, one of the loveliest spots in Gangnam.